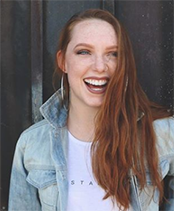 Haley Fitzgerald is a radiant and energetic personality, which shows through her video content and dancing. Her YouTube vlogs feature everyday life, from her dance career to fun tries, makeup tutorials and everything in between. As a professional commercial dancer, she’s worked with well-known artists like Jennifer Lopez and Nick Jonas and toured with Derek and Julianne Hough on Move Live On Tour, all while encouraging her followers fearlessly express themselves. 10 SEMI INTERESTING FACTS ABOUT ME! HOW MY 2018 IS GOING..